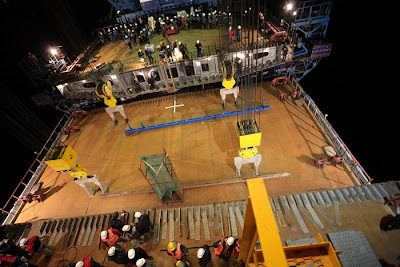 Maximizing Progress: Golden Link ~ Vladivostok-to-Russky Isle Bridged! 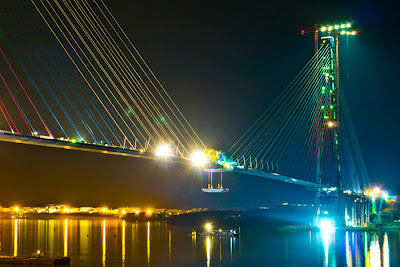 The final Golden Link in the epic bridge connecting Vladivostok to Russky Island was installed last night in the Russian Far East! If you haven't seen this before, I definitely recommend the construction film... My only gripe about the whole project is that there's no tramline (yet) which would allow both passenger tram service between (and on) Russky and Vladivostok as well as cargotram options.